The weekend is showing promise of perfect mid-summer weather – nice and warm with lower humidity and sunny skies. Now that things are caught up from vacation both at work and at home, I’m looking forward to a couple of days with no responsibilities, filled with working on my art projects. I started my May journal page but set it aside for vacation. Now it’s time to turn my focus back to it and complete what I started. There are so many things that I would like to do and sometimes I get so overwhelmed with trying to balance it all, especially with a full-time day job. How do you find balance in your life? Ok, time for my cup of tea. 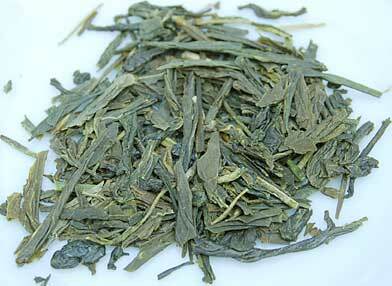 This morning I’m sipping a Japanese Sencha called Supersencha Kamakura. The dry leaf looks like grass clippings, flat, smooth and very green. Green tea has a long history in Japan, having been introduced in the 9th century by a Buddhist monk returning from his travels in China. You can read more about it here. The most well known type of Japanese green tea is Matcha, the powdered green tea used for the Tea Ceremony, Chanoyu (translation: hot water for tea). I had the honor of attending a tea ceremony last fall in Boston and I wrote about it here. After the leaves are plucked, they are steamed to stop the oxidation and then rubbed and dried. The rubbing breaks down the cell walls and releases the volatile oils which gives the tea its wonderful flavor. 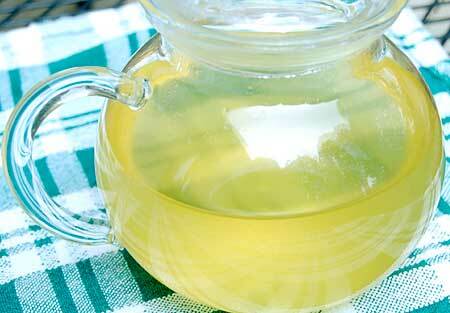 The liquor has an interesting yellow green color and sweet, vegetal aroma. 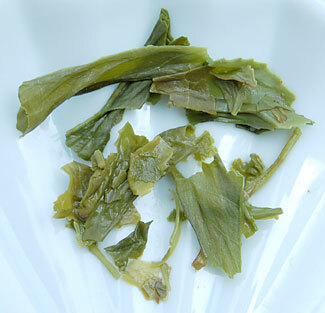 Japanese green tea can be very vegetal tasting, moreso than Chinese green tea. This tea is quite vegetal but also sweet which smooths out the pungency. There is also a slight nutty note which lingers on my tongue. 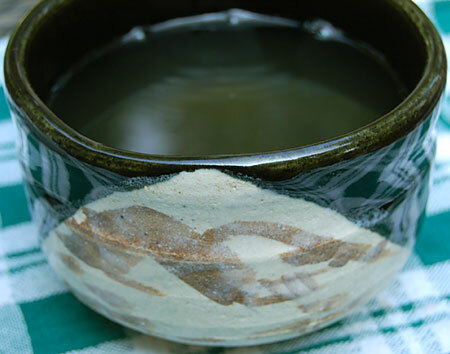 Years ago I received this tea bowl as a gift from a friend and it is perfect for my Japanese green tea. I imagine majestic mountains watching over the tea fields below. Time for another cup. Have a glorious weekend! This entry was posted in Green Tea, Photography, Tea, Uncategorized and tagged Japanese green tea, Japanese Sencha tea, tea review. I’m a big fan of green teas too, I LOVE the vegetal taste you described, but have been stuck on japanese teas for their variance in preparation. Anyway, good post! Cheers! Thanks so much for your comments! It’s so much fun to connect with other tea lovers!